Ryan Shields is the race car for the View Zeen team. He is a Crown Celesta that is painted turqouise, with a slightly lighter shade of blue on his doors. 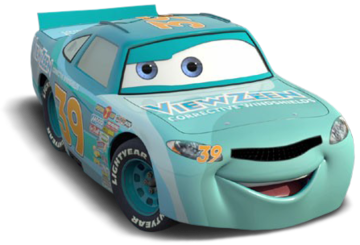 He has the number 39 painted in orange on his doors and roof, and the View Zeen logo on his hood and fenders. Some years after the events of Cars, he retires, and is succeeded by Buck Bearingly.